Toledo, Ohio-based Betco Corporation is the first to use new software to plug into existing supply chain data providing instant, actionable operational intelligence. Betco Corporation, the leading manufacturer of cleaning innovations, located in Toledo, Ohio has selected 1 EDI Source, Inc., the leader in providing business performance software and software-as-a-solution (SaaS), to provide a powerful new tool called IntelligentXchange to help transform complicated data into meaningful business milestones and metrics and provide transparency throughout the organization. IntelligentXchange is an easily deployed enterprise browser-based application that plugs into existing supply-chain data providing significant opportunities to enhance business relationships while improving profitability and gaining operational efficiencies. 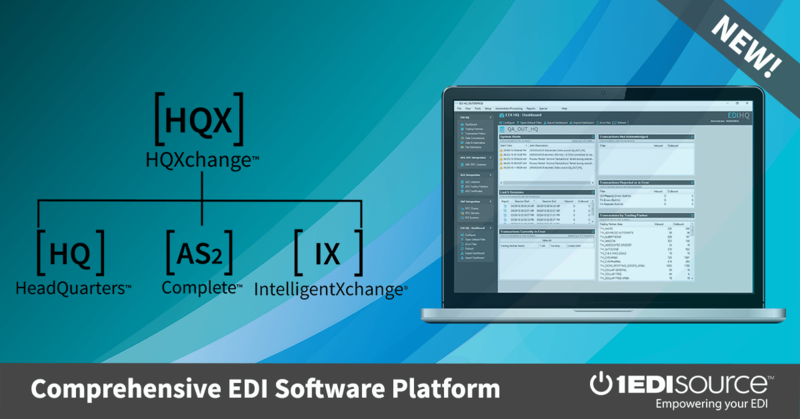 1 EDI Source can analyze your current data within hours and accurately report how IntelligentXchange can improve operations. For Betco, IntelligentXchange will impact revenue by automating customer invoice pricing controls. In addition, for a growth company like Betco, the productivity gains from eliminating time spent researching customer invoice, document, shipping, and collection issues means that current teams can support more growth and focus on more strategic priorities. Since 1950, Betco has set new standards in Cleaning Innovations That Matter. Betco engineers innovative cleaning programs, products and equipment sold through distribution partners internationally. For more information about Betco’s products and services please contact customer service @ 1-888-GO BETCO or visit www.betco.com. Follow us on Facebook & Twitter!